During the early 1920s many radio operators had noticed unusual phenomena when large metal objects like ships or aircraft passed between a radio transmitter and receiver. Gradually scientists realised that this was due to radio waves ‘bouncing’ off the vehicle, and that this could be developed into a useful technology for detection. The US Navy’s Naval Research Laboratory prepared its first experimental ‘radar’ set in 1937 and mounted it on the destroyer Leary. This proved the concept, and that the delicate electronics could survive the conditions at sea when mounted on a ship. However, a larger array with more power was needed. The NRL went back to the drawing board and designed a new radar set called XAF. 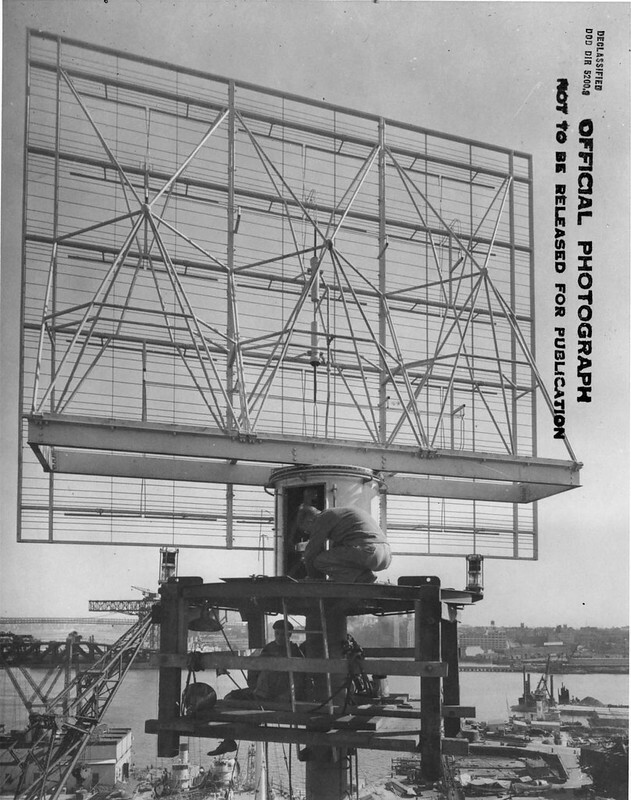 Another experimental radar set, called CXF, was installed on the battleship Texas in 1938. This set operated at a higher frequency than the XAF, 400MHz rather than 200MHz, which provided better target definition at the expense of detection range. The CXF was also more mobile – the base unit also acted as a pedestal for the antenna, and the entire assembly was on wheels which allowed it to be moved around on the main deck of the Texas. 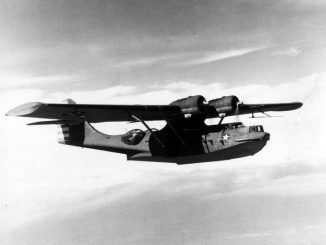 Such mobility proved of limited use, and all future air search sets were installed in fixed mounts. The CXF was produced by the Radio Corporation in America (RCA), which received extensive training from NRL personnel. Encouraged by these experiences, the Navy awarded RCA a contract to manufacture production versions of the XAF, designated CXAM. There were few changes to the original specifications. The set emitted in the P-band (for ‘pulse’), at 200MHz with a wavelength of 1.5 metres, whilst pulse power was 15 kilowatts. In practical terms under war conditions, the CXAM could be relied upon to detect aircraft at 10,000ft at a range of perhaps 70 miles, although detection ranges varied greatly depending on the altitude and size of the aircraft. 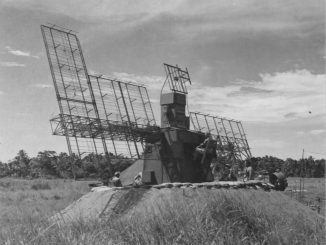 The CXAM set with its 17 square foot ‘bedspring’ style antenna weighed 5,000lb, making it suitable only for the deployment on large ships. The Brewster Aeronautical Corporation manufactured the antenna out of lightweight aluminium, which was lighter than steel and used to keep the overall weight of the equipment down. It could rotate at 5rpm. In total six CXAM sets were produced, and they were mounted on the carrier Yorktown, the battleship California, and the heavy cruisers Pensacola, Northampton (this set was replaced by an improved CXAM-1 in April 1942), Chester, and Chicago. California’s set was salvaged after the ship was sunk during the attack on Pearl Harbor, and was installed on land to provide coverage for Oahu, before it was later installed on the carrier Hornet – which had been fitted out with the later but inferior SC radar. 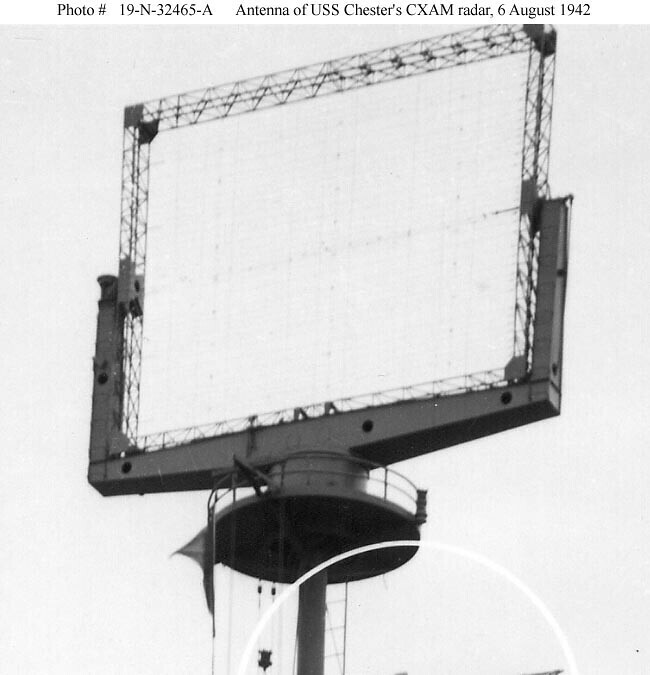 Like the XAF, the CXAM antenna was mounted in a cradle that allowed it to be elevated. This was intended to increase the detection range of the set, but this feature proved of limited use – the gain in range was minimal in relation to the added complexity, although there appeared to be the potential to adapt the set for long range communications or to give it an ‘over the horizon’ capability. RCA produced a modified version of the set, called CXAM-1, with the elevation capability removed. Fourteen of these sets were manufactured, and these were mounted on the battleships Texas (replacing the CXZ), Pennsylvania, West Virginia, North Carolina, and Washington; carriers Lexington, Saratoga, Ranger, Enterprise, and Wasp; heavy cruisers Augusta and Northampton (replacing her CXAM); the old light cruiser Cincinnati; and seaplane tender Curtiss. 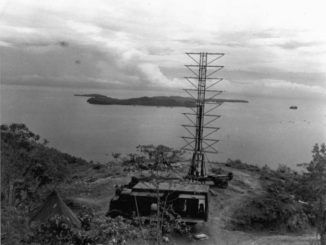 The CXAM consisted of two parts: the antenna which was mounted high up on the ship, at least 100 ft above sea level to provide the best range; and the base station, which was located in a compartment called the ‘air plot’. 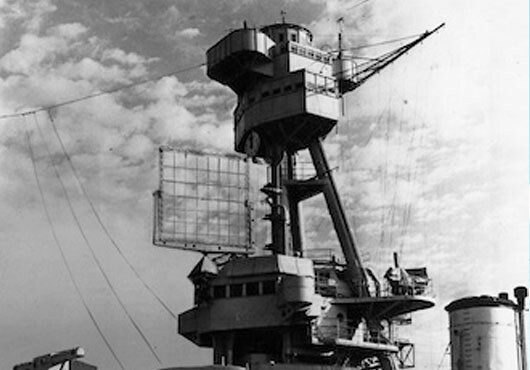 In early installations the air plot were squeezed in wherever there was room, which in Yorktown-class carriers was usually in the island structure between the flag plot and the ship’s smokestack. Heat from the stack often made the equipment temperamental, which along with additional space requirements led to dedicated Combat Information Centres (CICs) being provided on later carriers and on older refitted ships. Radar operators managed the rotation of the aerial, and watched for bogeys (unidentified aircraft) on the CXAM’s A-scope – a primitive display that only provided range information (the CXAM was never equipped with a Plan Position Indicator (PPI), the famous circular sweep display). All contacts had to be manually plotted on a Perspex screen by enlisted personnel, and updated periodically. The radar was unable to provide the altitude of contacts, but this could be estimated from the distance at which a contact first appeared – the earlier it was detected, the higher it was likely to be flying. The availability of radar for large surface ships promised to solve a number of problems related to the defence of such vessels against air attack. Air defence doctrine in the late 1930s was based entirely around visual target acquisition, either by lookouts on deck or by airborne fighters. Patrols consisted of Combat Air Patrols (CAP) close to the ship, and Outer Air Patrols (OAP) between the ship and the likely approach vector of enemy air forces, both of which relied on the visual sighting and identification of enemy aircraft. However carrier air groups of the time had too few fighters to carry out patrol duties in addition to escorting bombers and torpedo craft to their target. Radar promised to alleviate this problem by eliminating the need for the OAP whilst making the CAP much more efficient. This system worked quite well when there were a small number of contacts to track, but broke down when larger numbers of aircraft were in the vicinity. During the Marshalls-Gilberts Raid of February 1942, the air plot on the Enterprise became overwhelmed when aircraft returning from the strike cluttered the radar displays, and a small formation of G3M bombers was able to approach the ship without being recognised as enemy – fortunately doing no damage. This problem was exacerbated because during the early part of the war very few American aircraft were equipped with IFF devices, which clearly identified them as ‘friendly’ on the radar scope. The first major success of the CXAM came during the Lexington’s cruise in the South Pacific, especially during the action of 20th February 1942. Lexington’s radar detected her first enemy contact, a low-flying H6K flying boat, at a distance of about 35 miles. The carrier’s combat air patrol was vectored on to this contact and it was shot down, followed shortly afterwards by a second H6K – again detected by the CXAM. Later that same afternoon, an attacking formation of G4M medium bombers was detected at a range of 75 miles. In the action that followed many of the Japanese were shot down whilst the ships of Task Force 11 escaped damage. During the Battle of the Coral Sea in May 1942, the CXAM sets on the carriers Lexington and Yorktown were invaluable in providing early warning of incoming Japanese strikes. There remained the problem of identifying targets, with IFF still available in only limited quantities for fighter planes only, but the main problem of fleet defence was the lack of F4F Wildcats. 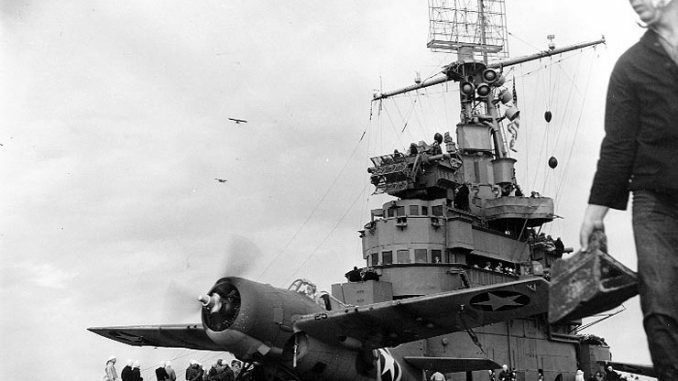 Both carriers were damaged and the Lexington’s radios went out for a time, whilst the Yorktown’s CXAM radar went offline for several minutes after its mount was damaged, requiring the cruiser Chester to take over fighter direction with her own CXAM. Several CXAM sets were lost in combat when the ships they were mounted on were sunk. The carriers Lexington, Yorktown, Wasp and Hornet were all still equipped with CXAMs when they were lost, as was the cruiser Northampton. Chicago was probably the last ship still equipped with the CXAM to see combat. She was sunk by Japanese air attack during the Battle of Rennell Island in late January 1943. All the surviving ships soon replaced their CXAM equipment with SC sets, which were designed to have a smaller set and more manageable antenna suitable for installation on smaller ships, including destroyers. Initial versions of the SC were less capable than the CXAM but improved versions solved these problems.